The entire purpose of me having kids was to make them farm, fish and craft in Final Fantasy XI. When I quit playing that game, my investment was for naught. 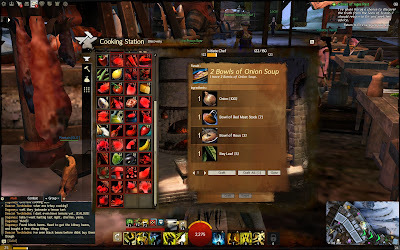 Then came Guild Wars 2 . I continue to enjoy the crafting process in Guild Wars 2. It’s not overly onerous and it is nicely paced to level with you, if you so choose. And then there are discoveries. Other than the experience boost, Discovering new recipes isn’t all that awe inspiring for most of the crafts. Once you establish the basics, the patterns don’t change much. But when it comes to cooking, it’s a lot of fun. That’s why my girls now do all my cooking for me and why I have spent the last week hunting down more and more ingredients for them (YAMS!). Now, rather than spend their hour of computer time with Dora or Barbie dress up games, they spend it trying to discover new recipes. Daddy came home after a few days away and the first thing they did was proudly announce their finds and the ingredients required. 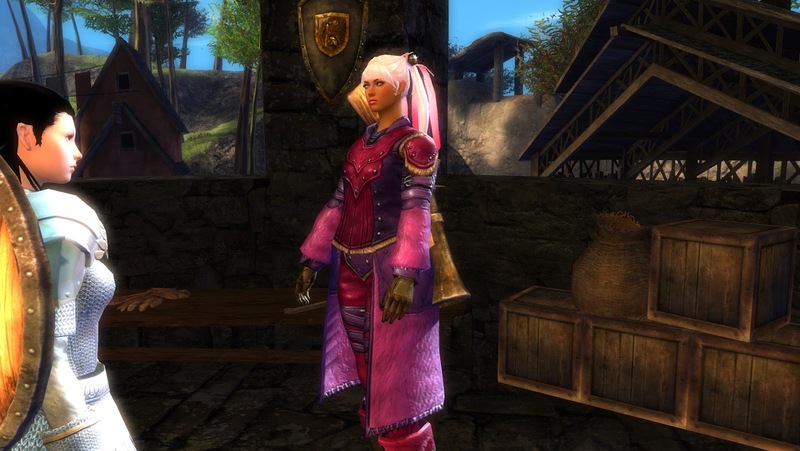 Meanwhile, my husband is playing his new Engineer, which he allowed Bunny to design and name for him, complete with pink Sailor Moon hair and a fabulous purple and pink colour scheme.